While we're off to the races and the holiday season is officially underway, I'm thinking long-term, friends. Don't get me wrong. I love to decorate for the holiday season. What I don't enjoy, is pulling it all down after the holidays are over, and losing that warm and cozy atmosphere. Am I the only one? It seriously puts me in a funk when the tree comes down, and the glow of Christmas lights are gone and packed away for the season. Winter is long in the northeast area of the country, and I want to stretch my dollars to ensure that we are comfy and cozy, all season long! Not just during the month-long holiday season. This year, I'm avoiding all that, by decorating for the long-haul! And I'm excited to share some of my winter decor ideas, with you today. Most of these simple and inexpensive decor ideas, easily transition past the holiday season and into the New Year; ensuring a warm and inviting cozy atmosphere, all winter long. 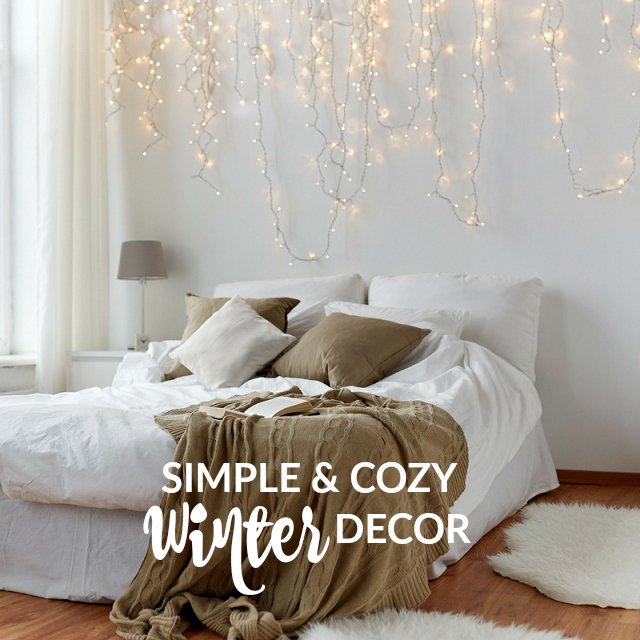 Read on for my easy and inexpensive decor ideas to "winterize" your home, and create a cozy space for the entire season! Choose a color scheme that will easily transition from the holiday season, to the winter season. Warm gold tones, silver tones, and traditional plaids are all acceptable long after the Christmas tree has been packed away. You don't have to go whole-hog with a theme either. 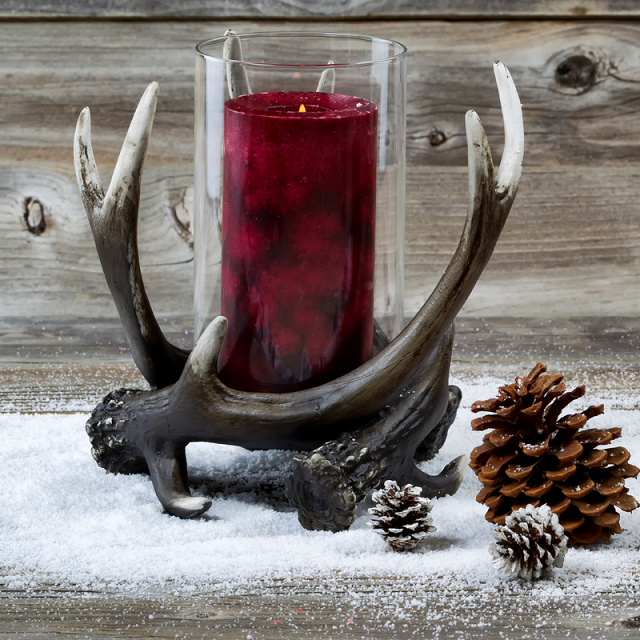 CORT wisely suggests switching out small home accents, seasonally. 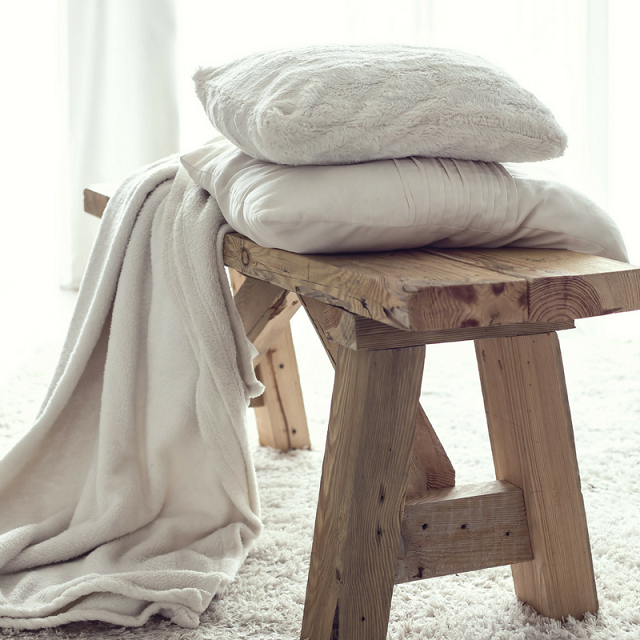 These minor inexpensive changes, can make a big difference in cozying up your space, too! Add a few decorative flannel throw pillows or a few cable knit throw pillows, to the sitting areas in your home. Don't forget a big comfy throw too (or 3, if you have a big family like mine!) and you'll be set for the season. Pick small accent pieces that easily transition from season to season. Choose lanterns that can easily be redecorated as the seasons transition, centerpieces and candles that transition/ can easily be updated with each season etc. 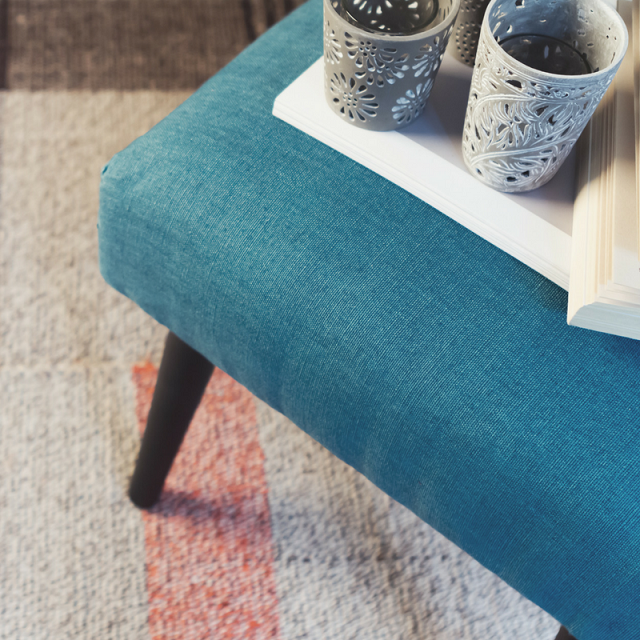 Add a small piece of furniture to your space such as a new end table, coffee table, or a cozy ottoman; These small furniture pieces are the perfect props for your warm winter beverages / a board /card game while you're relaxing and enjoying time indoors, during the cold winter months. CORT Furniture Rental has an amazing selection of small furniture pieces that you can easily add to your space temporarily for the season. Set the scene! Twinkle lights aren't just for Christmas trees! Adding a strand of twinkle lights to a reading nook, playroom, or over a bed can create a warm soft glow - perfect for creating a warm and cozy atmosphere in the winter! You can also brighten up dark spaces with twinkle lights, by strategically placing them throughout the house in lanterns, mason jars etc. These are just a few of the ways that I'm stretching my dollars, and my decor investments this season. Head on over to the CORT blog to read more on How To Winterize Your Home with Seasonal Decor I'm totally digging their upcycled DIY pumpkin snowman idea! What are your favorite ways to decorate your home and create a cozy space for the entire winter season? I'd love it if you'd share in a comment below! Wishing you all a warm and cozy winter season, friends! Thanks for these great ideas. I love the twinkle lights. I love this time of year with all the Holiday lights and I like the lights over the bed and the cheerful red candle. Such pretty items for the home!